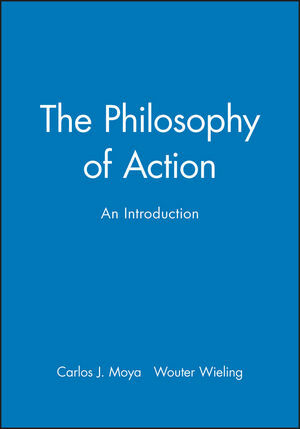 This new textbook is an exceptionally clear and concise introduction to the philosophy of action, suitable for students interested in the philosophy of mind and the philosophy of social sciences. Moya begins by considering the problem of agency: how are we to understand the distinction between actions and happenings, between actions we perform and things that happen to us? Moya outlines and examines a range of philosophical responses to this problem. He also develops his own original view, treating the analysis of meaningful action as the basis for understanding the distinctive interplay of agency, intention and commitment. Subsequent chapters examine recent attempts to integrate our understanding of action with the view of the world provided by the natural sciences. The work of Donald Davidson is examined in detail. Moya also discusses the views of many other authors who have contributed to recent debates in the philosophy of action, including Anscombe, Churchland, Harman, Hornsby, Goldman and O'Shaughnessy. Carlos J. Moya has written a number of articles and short works on the philosophy of action. He has translated works by Dilthey and Habermas from German into Spanish. He was recently Honorary Research Fellow in the Philosophy Department of the University of Birmingham. 2. The New Volitional Theory. 3. Some Remarks about the Ontology of Actions. 5. Agency and Intentional Action. 6. The Intentionality of Mind. 8. Laws and Explanation of Actions. 9. Laws and Prediction of Actions. 10. Davidson's Causal Theory of Intentional Action. 12. Intention and Intentional Action. 13. Davidson's Theory of Intention. 14. Agency and Physical Determinism.